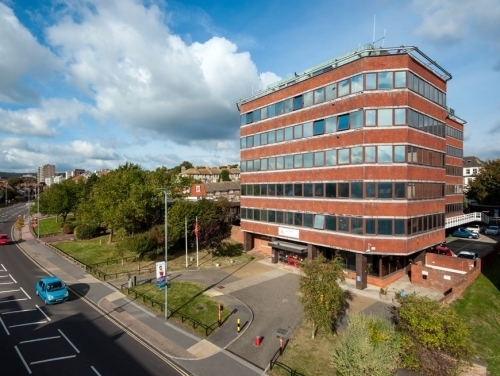 SHW Agency / Development Consultancy are pleased to announce that Eastbourne's Fire & Rescue Service HQ Building has been sold for residential development. The 44,353 sq ft complex in Upperton Rd had been given prior planning consent for 35 one bedroom and 38 two bedroom apartments through SHW Planning on behalf of long standing clients East Sussex Fire & Rescue Service. Julian Salmon, Estates Manager for ESFRS said: "The successful sale of 20 Upperton Road, Eastbourne marks the end of a significant relocation project for East Sussex Fire & Rescue Service. The sale will support ongoing investment into our fire stations, other ESFRS buildings and capital schemes across the Service. SHW provided an excellent service to ESFRS and ensured that we maximised the capital receipt from this important asset." Development Consultancy Partner Niral Patel said: "We scaled the heights to achieve competitive above asking price offers for a very prominent building at the gateway to central Eastbourne. Many of the flats as proposed had sea views or over the South Downs National Park."